Five-year-old Rilee was born with Achondroplasia, a form of short-limbed dwarfism, that has stunted her growth. But it has not stopped her from dancing around and being a wonderful little girl. In celebration of Dwarfness Awareness Month (October), Rilee prepared a special dance and message for viewers all around the world. 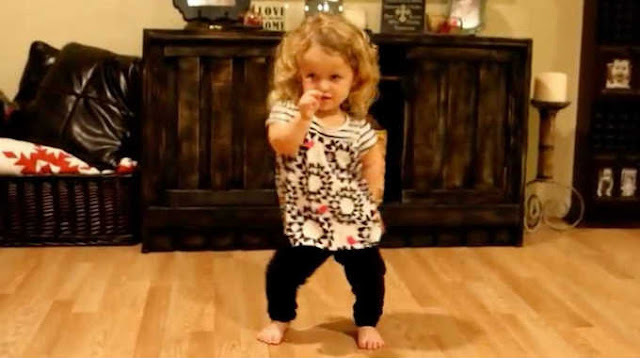 Dancing to Taylor Swift’s “Shake It Off,” Riley and her mother Angela hope that people can better understand dwarfism. The idea behind the video was to show that children with dwarfism are no different than any other child. They are just as energetic, silly, and funny! After watching Rilee dance, it’s easy to see how wonderful this cute little girl is. She will have you smiling so hard your cheeks will hurt! Please SHARE this adorable dance with your family and friends. This post was republished from Smiles From Rilee. You can find the original post here.